Go Rubbish Go. 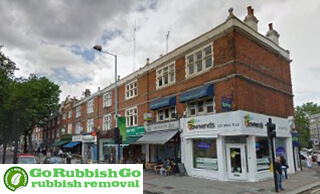 offers you the highest standards of rubbish clearance in Chiswick, W4, at the most competitive prices around! Through years of experience and extensive training, our skilled staff members are fully prepared to dispose of your waste under almost any circumstance. Our Chiswick rubbish removal services range from garden waste clearance all the way to office clearance. We understand that not everybody can lift heavy furniture or equipment, so our able bodied staff are trained to carry and manoeuvre these items for you. Our brilliant team will load and unload all of your waste for you, so you don’t have to lift a finger. You will be left with nothing but a clear, empty space and the satisfaction that you’ve received brilliant value for money by hiring our waste collection in Chiswick. Our staff work hard to employ waste disposal methods that are fast and efficient, so you won’t be kept waiting. 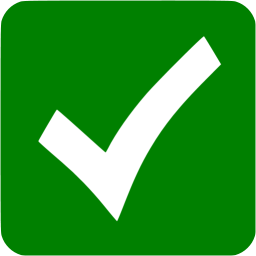 We work on a tight schedule to get your clearance done, so there’s no need to worry about a single minute of your day being wasted. If you’re in need of quick, professional standards of Chiswick waste removal, call us today on 020 8610 9182 for more information, your free quote or to book! 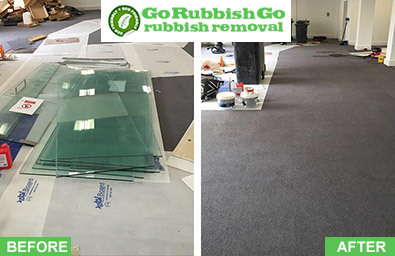 Don’t waste your money on other W4 rubbish removal methods; we offer the best value for money! 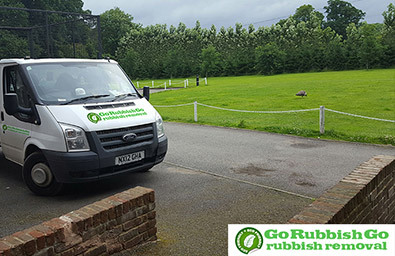 As an experienced W4 waste clearance company, Go Rubbish Go. understands the possible harm that waste disposal can inflict on our environment. For this reason, we aim to remain as eco friendly as possible by recycling as much of your old junk as we possibly can. Adding waste to landfills is always our absolute last resort, and is not a method of disposal that we take lightly. By hiring our services, whether for a garage clearance or a loft clearance, you can rest assured that you’re protecting your environment in Chiswick. I easily give them 5 out of 5 stars! Top-notch waste disposal in Chiswick, W4 and the most reliable company I’ve worked with. Great stuff!! Let Our Chiswick Rubbish Collection Team Help You Clear Your Property! Apart from trying our best to save the environment, we also aim to save you money. By hiring our services in the W4 region, you will save money that may have otherwise been wasted on hiring a skip and getting a skip permit. We provide all of the necessary equipment for an effective rubbish collection and removal in one low cost, as well as staff to get it all loaded and disposed of for you! So why wait any longer? Call 020 8610 9182 now and we will gladly give you more information about the brilliant waste disposal W4 services we provide. Book today! 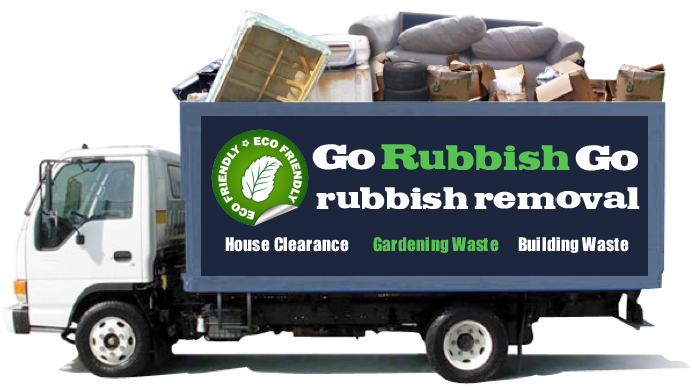 When the waste in your home has got out of hand and you need help in a hurry, Go Rubbish Go are here for you. Known as the very best in London when it comes to waste removal, we can be at your door in no time if you take advantage of our same day service. You’ll be blown away by the quality and speed of our rubbish disposal Chiswick service and by the value for money that we offer. You will not find our services or prices matched anywhere else in the city and that’s a promise! To find out what we can do for you, call 020 8610 9182 today and ask for a free quote from one of our rubbish clearance experts. Chiswick can be found in the borough of Hounslow, in the west of London. It is a residential neighbourhood and has a great variety of boutique shops and restaurants such as The Devonshire and The Roebuck. The area, largely home to families, has a friendly and pleasant atmosphere. One of the attractions of the area is long walks along the riverside, away from the hectic vibes of general city life. For a day out in the area, Chiswick is home to Hogarth’s House and Chiswick House. Chiswick House, formerly a royal residence, is open to the public to be explored, and the beautiful grounds are the perfect place for a picnic or a visit to the café. The region is also known for Griffin Brewery, where visitors can take a guided tour and try a variety of fresh beers. The attraction also has its own museum and is the last surviving family brewery in the capital. For visitors to the area, Chiswick has a vast range of bed and breakfasts and hotels on offer. To name just a few, there are the Chiswick Moran Hotel, High Road House and the Chiswick Lodge Hotel.